Vata Construction Group VCG is a bonded company that specializes in high-quality home renovations in Toronto, Richmond Hill, Markham, Vaughan, Brampton, Mississauga, Pickering, and surrounding areas. Select one of the services below to learn more. Vata Construction Group (VCG) – Leading General Contractors Toronto, specializing in construction and renovations. For over 15 years, we have provided a full spectrum of general construction services for homes and businesses. Our residential construction experience ranges from kitchen renovations, bathroom remodelling, basement finishing to whole house renovations. When it comes to commercial renovation projects, we have a vast experience working with all sorts of businesses notably retail construction and renovations, business office remodelling, and restaurant renovations in the entire GTA. As top general contractors, we take on your entire project. From planning & design, through all phases of construction, we provide the expertise, trades, and suppliers required to make your project a successful one. If you have any special requirements, no problem! We can tackle any custom construction project you have. We have built a solid reputation with our clients for quality workmanship and project professionalism. 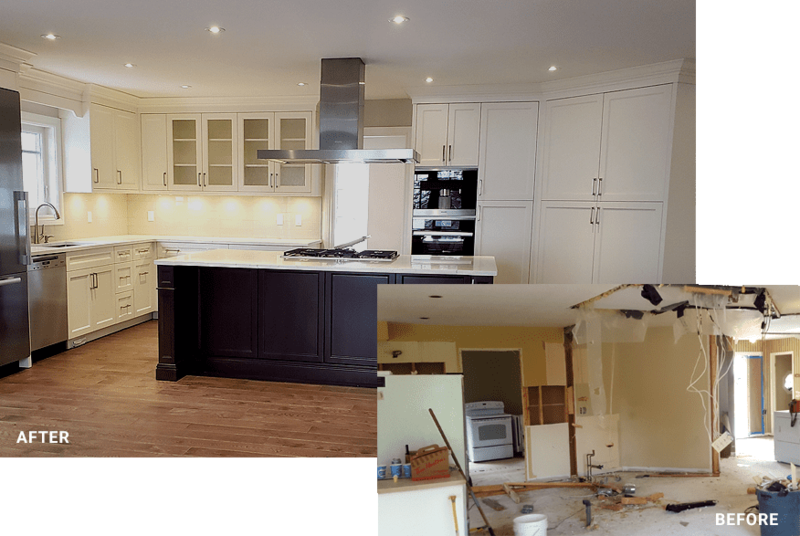 Our unique approach to working closely with customers, and our meticulous attention to detail, has led to countless successful construction and renovation projects all over Toronto and the Greater Toronto Area.